Samarjit Choudhry and Soumitra Karnik have been elevated as pesident and CCO respectively. 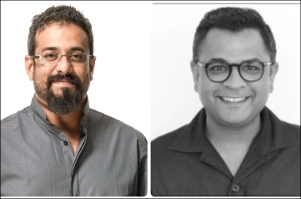 In a bid to strengthen its global creative agency mcgarrybowen's India footprint, Dentsu Aegis Network (DAN) has elevated Samarjit Choudhry to the role of President - Happy mcgarrybowen (HMB) India. In addition to this, the global media & marketing communications conglomerate has also entrusted Soumitra Karnik with the additional charge as Chief Creative Officer (CCO). Choudhry joined the Network in 2017 as COO - Happy mcgarrybowen India. Armed with more than 20 years of experience, he has worked with agencies such as Ogilvy and Leo Burnett. At Leo Burnett, he was the Chief Growth officer for the Group and was also instrumental in setting up Orchard and Black Pencil for them. In addition, he has also worked to create India's premier comic book content company, Virgin Comics. Speaking on his appointment, Choudhry, President - HMB said, "mcgarrybowen has a strong philosophy of solving real problems. They truly operate as a media-agnostic agency. In India the foundation for this is already there and the agency has been operating as Happy mcgarrybowen for over 2 years now. My mandate is to take it to the next level. Other than communication, we already have a strong design practice and in conjunction with the other offerings from DAN, today we offer our clients a one stop solution for whatever their needs might be. I look forward to taking the opportunity to take the legacy forward. And all we ask is, 'Give us your biggest problem'." 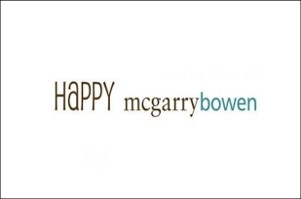 Speaking about the role, Karnik, CCO - HMB and Dentsu Impact said, "Happy mcgarrybowen is a phenomenal creative brand and has an enviable body of work to prove it. All these years, I have greatly admired them from a distance and I count my blessings for being given this opportunity to be a part of their creative trajectory. I assume this role with utmost confidence only because the culture of HMB will not have it any other way. I shall take my mandate from Gordon Bowen, our Global CCO, in the coming days and will talk about it soon. Personally, I'd like to build a collaborative creative culture where everyone works with everyone and everyone learns from everyone. There is so much talent out there in the world and sometimes all it takes is a simple call to say, 'Hi, I have this idea and I need you to make it even more amazing'. Most clients deserve a spectacular package. Anything less is just plain misfortune." Ashish Bhasin, CEO Greater South, Dentsu Aegis Network and Chairman & CEO India said, "With its new leadership in place, I am more than confident that the agency is now in extremely able hands. 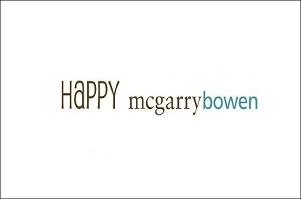 Happy mcgarrybowen has always been a brand to reckon with and I have no doubt that Samarjit and Soumitra, together, will further fuel this brand legacy and help Happy mcgarrybowen scale new heights."